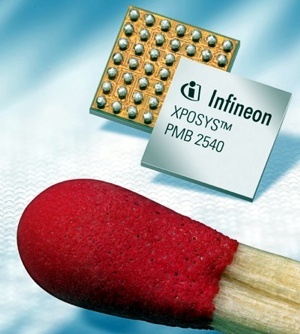 Epson's XPOSYS chip, smaller than the head of a matchstick, set for mass production in late 2009, will make GPS based location sensing ubiquitous. Improved to more accurately determine your location while indoors and combined with technology like Skyhook Wireless for hybrid positioning, small handheld devices (let alone laptops or, say, vehicles) will know their location with near military grade precision. Skyhook Wireless is a system that uses the MAC addresses of nearby wireless access points and proprietary algorithms. According to Wikipedia, the Boston Based company's database now covers 70 percent of the population centers in the <?xml:namespace prefix = st1 ns = "urn:schemas-microsoft-com:office:smarttags" />United States and Canada. With the advent and probable popularity of Google Latitude, the potential for expanding and refining this kind of information is impressive. What of it's potential for abuse? Articles have already been written that demonstrate how to query the Skyhook database for the physical location of a MAC address. Soon GPS location chips will be in nearly everything. Most things will be networkable. It seems that Location Privacy will be a predominant ethical issue and a moot point, all at once.